Joseph M. Lobozzo II, founder of JML Optical Industries Inc., is the recipient of the 2017 NRS Award, the highest honor given by Rochester Institute of Technology’s Nathaniel Rochester Society. Lobozzo ’95 (Executive MBA) will receive the award on July 20 at the society’s annual Summer Gala, which will be held at Oak Hill Country Club. NRS, which celebrates its 50th anniversary this year, recognizes individuals who have made outstanding and significant contributions to the university’s advancement. “This award was a real honor because I know how much NRS means to RIT—and I am both humble and proud to have been part of this university’s growth, recognition and success,” said Lobozzo. Lobozzo, who lives in Rochester, said his is “the story of a penniless boy from the South Bronx who makes good.” With $10,000, he made his dream come true in 1972 when he opened JML Optical Industries, a company that designs, manufactures and distributes high precision optical components and systems. Lobozzo’s commitment to RIT has been legendary. He has served on the RIT Board of Trustees (1999-2013), advisory boards for the Center for Integrated Manufacturing Studies, Venture Creations, Saunders College of Business Executive MBA program, and several terms on the Dean’s Council for Saunders College. He also served as vice chair of RIT’s Powered by the Future capital campaign, and established the Lobozzo Executive MBA Challenge Scholarship. Lobozzo’s support is also marked by years of personal giving, including the establishment of the Joseph M. Lobozzo II Photonics and Optical Characterization Laboratory in 2006 at the Kate Gleason College of Engineering. 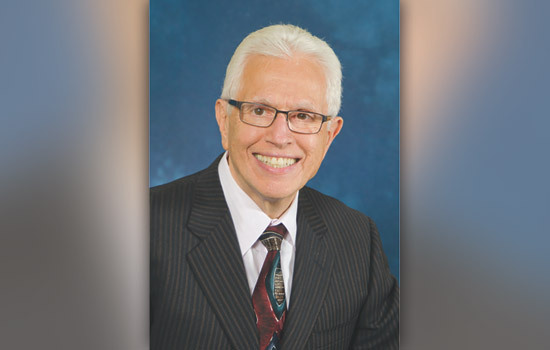 For his years of business success and service to the university, he also earned the Saunders College of Business Distinguished Alumni Award in 2001, the Herbert W. Vanden Brul Entrepreneurial Award in 2003 and the RIT Outstanding Alumnus Award in 2006. The mission of the Nathaniel Rochester Society is to develop friends and ambassadors to promote and support RIT. The NRS Award, established in 1972, has been permanently endowed through the generous gift of Mr. and Mrs. Marcus N. Barbour, charter members of the organization. Since 1967, the Nathaniel Rochester Society has celebrated leaders who choose to extend their impact beyond philanthropy, and also advocate for the university in the community, industry and education. NRS members have a lasting impact on RIT and students through leadership level gifts to scholarships, academic areas, athletics, student organizations and other areas. Past recipients of the NRS Award include the Gueldenpfennig family, Jeffrey K. Harris, and Sandra Parker and John “Dutch” Summers.